Churi in Nepalese means 'Knife', used as a domestic or outdoor cutting tool.. 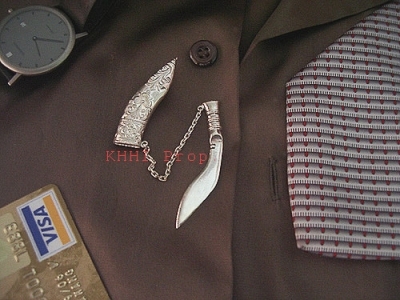 It is one of the new items introduced by Khukuri House Handicraft Industry under this category. It is actually a copied version of a famous knife made on demand by some regular customers. 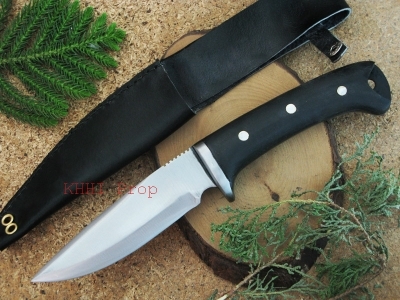 It has also been made by KHHI to exhibit the skill and standard of the company as one of the best knives makers. The usefulness of this knife goes from domestic to jungle warfare to safari to tactical. 'Churi' in Nepalese means 'Knife'. It literally means a domestic or household cutting too. Nonetheless, it also comes very handy for trekking and traveling. The 5 inch high carbon blade has about 5 inch long full flat tang that goes all the way through the wooden handle. The tang is further riveted to strengthen the handle. 'Churi' comes with a special embossed buffalo leather scabbard with belt loop at the back to prevent scratches etc while drawing in and out. A small leather loop is also made to go around the handle to hold it firmly once the knife is tucked in. 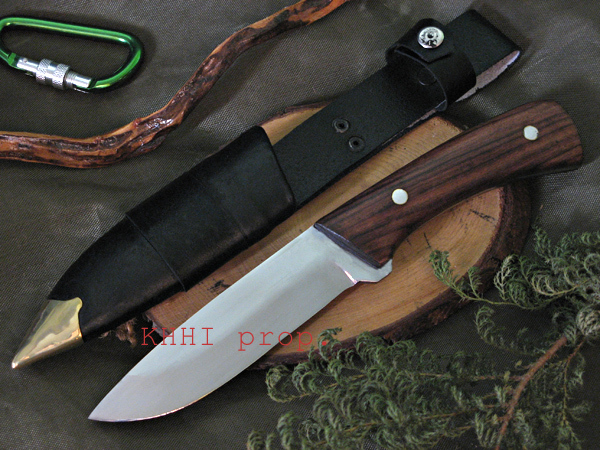 'Churi' knife is a complete and compact mini utility tool at its very best. A metallic chape is fitted to prevent the naked scabbard’s tip from penetrating flesh and also to protect the scabbard. It also gives a fine look to the knife.